BOOTCAMPER MAKES HIS MARK IN HOLLYWOOD! 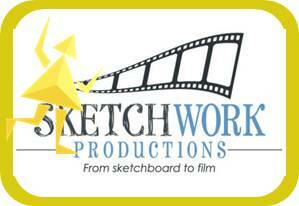 18 June 2008: 2007 Entrepreneurs Bootcamp graduate Justin Heasman, who is MD of Cornish-based SketchWork Productions Ltd has got his first entry on IMDb (the Internet Movie Database) – the Hollywood listing of the key people in the film industry. Justin achieved his first entry onto the IMDb website with his credits as the Visual Effects Designer on the British independent film “Call Me a Psycho”. But whilst this just sounds like film people having fun, the IMDb is a serious business – it takes several forms of checking and evaluating to get an entry published. Justin said “It is a great step forward for the company to have an entry on IMDB as this means we are now visible to the key people in the film industry. You can see Justin’s IMDb entry at IMDb.